In an age where the hashtags like #travel, #travelgram, #traveling and #travelingram have millions of posts on Instagram (and counting! ), it’s not all that surprising that an entrepreneurial hotel chain would attempt to cater to people’s snap happy travel preferences. 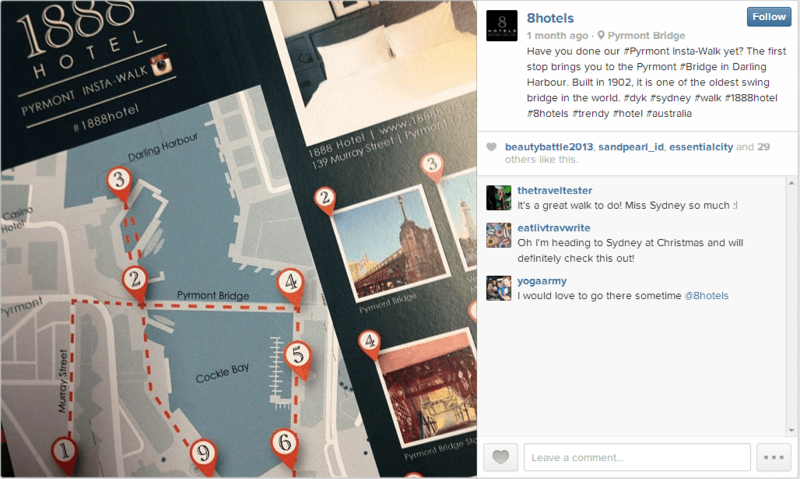 Case and point – the world’s first “Instagram Hotel.” Located in Sydney, Australia, the 1888 Hotel has taken a big chance by branding itself with the rapidly growing visual social media channel. Fresh off of an AU$30 million ($28 million) renovation, the hotel is embracing the digital age with stunning interiors primed for the perfect photo opp. Even the name, 1888, is a nod to the year when Kodak first patented its box and roll cameras. While photogenic features are a good start, the hotel lives up to its branding by streaming Instagram photos with the #1888Hotel hashtag on two flat screens in the lobby. It also reportedly has a dedicated “selfie space,” and displays framed Instagram photos from local landmarks throughout the hotel. A very special offer also aids to the surge in buzz surrounding this hotel. 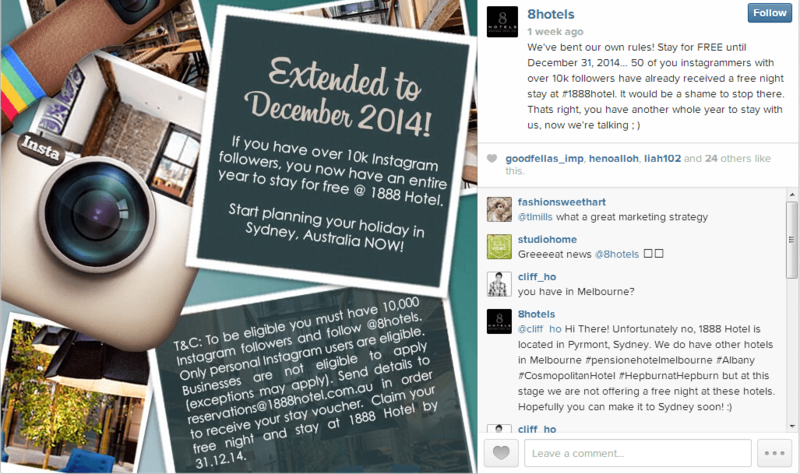 The 1888 Hotel offers up to 50 Instagram users with more than 10,000 followers a free one night stay until December 2014. In addition, the hotel hosts an ongoing monthly competition where the best photo of the month with the #1888Hotel hashtag is awarded a free one night stay. Although this is incredibly creative and compelling, one has to wonder – is this all a brilliant PR play, or is the hotel genuinely popular with travelers? According to traveler reviews on TripAdvisor.com, it more than lives up to the hype with rave reviews, but not quite in the way Instagram enthusiasts might expect. The hotel is currently ranked number two of 187 hotels in Sydney by TripAdvisor reviewers, with a 96% thumbs up. However, when reading through the hotel’s reviews following the renovation, this writer was hard-pressed to find any guests who cited the Instagram inspired features in their reviews. On the other hand, in-room iPads seem to be a hit! 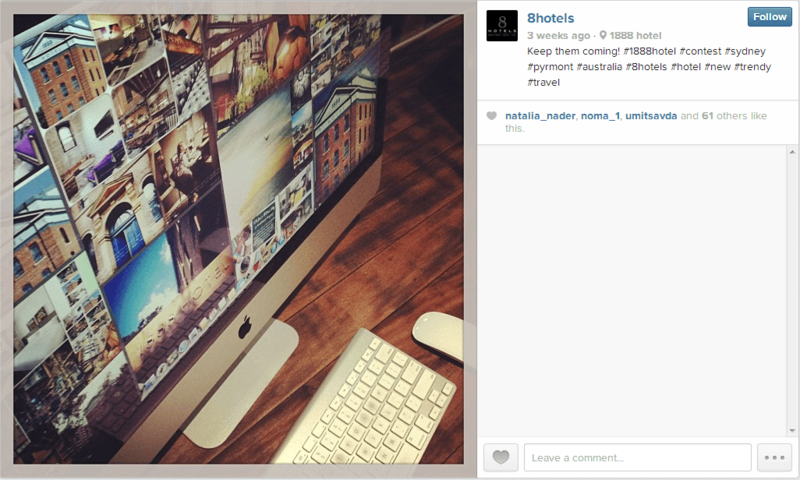 Also interesting is that the hotel doesn’t have a dedicated Instagram account. While photos from the 1888 Hotel seem to be the only property shared recently on its parent company, @8Hotels’, Instagram account, other hotels from the group can also be found on the account from earlier on. The bio for the account also notes that photos from 1888 Hotel will be shared through October. Given the surge in interest and popularity of the property, it seems to warrant a dedicated account run by the on-site team who can capture gorgeous photos in the moment. For an example of a hotel that does this well, check out the Four Seasons Hotel Boston on Instagram. TripAdvisor reviews and Instagram accounts aside, factoring photography and social media sharing into the design of a hotel is pretty impressive. 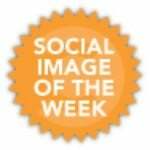 With the prevalence of smartphones, photo worthy moments are easy to capture and share via social media communities in a flash. By creating dedicated areas for the perfect “selfie,” and streaming amazing user-generated images, 1888 Hotel is creating a memorable experience for its guests. Travelers may only stay for a few days, but the photos captured will last for much longer and could generate increased interest in the hotel from their social media communities. If you had over 10,000 Instagram followers, would you stay at this property and share photos of your stay?